Ashleigh beat Vita Heine (Bergen CK) in the uphill finish in Skien at her first visit in Norway. A nice collective team effort gave a descisive break of 6 riders where we had 3. 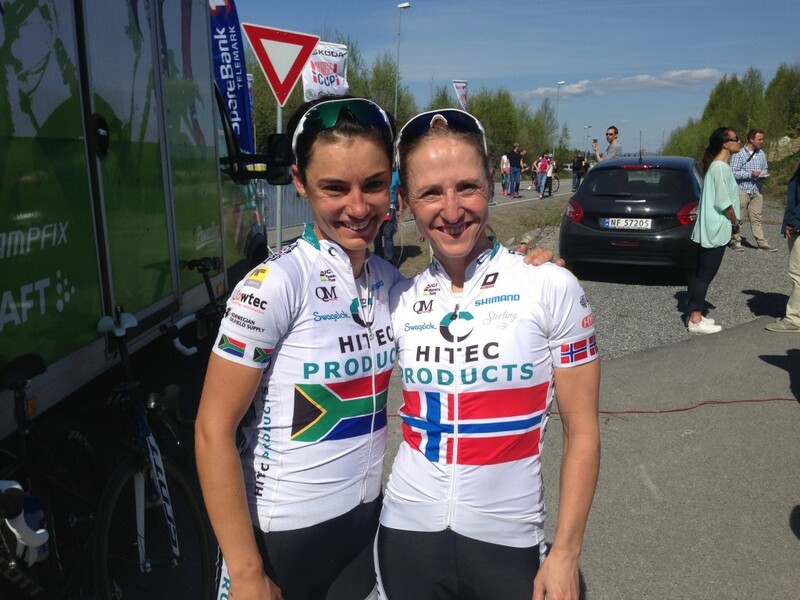 Cecilie Gotaas completed the podium while Miriam took the youth jersey. 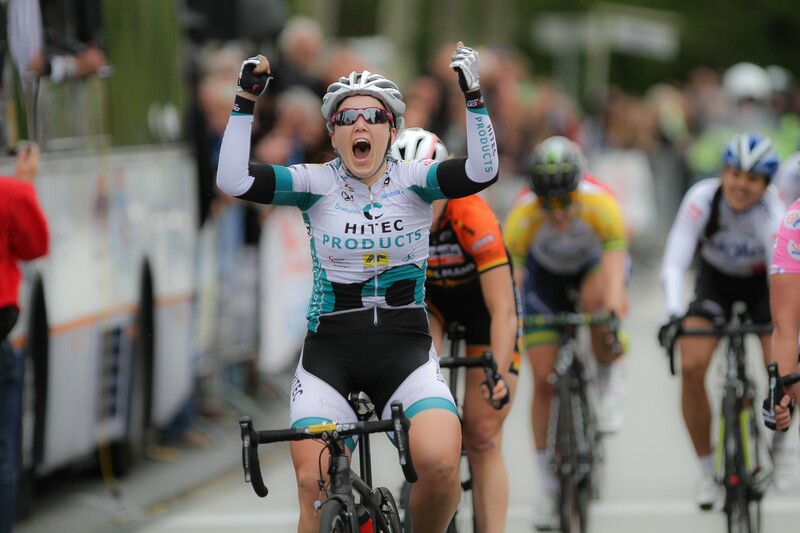 After several breakaways with our team involved, Anna vd Breggen (Rabo) was allowed to go solo to win. Julie finished 12th for us. In a brilliant finish aided by Audrey, Chloe booked her first UCI-win of the season. Here in her own words: Read more. 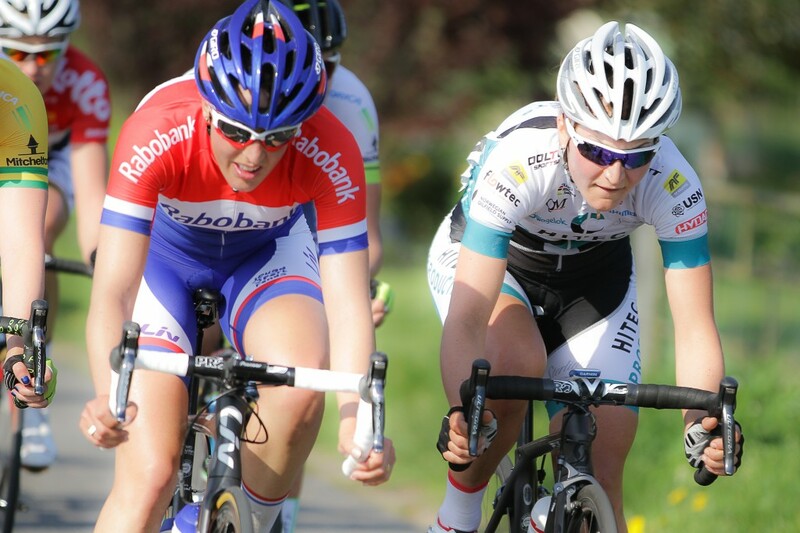 In the return og marianne Vos, the team did a great job of defending last years podium. We set up our 2 captains beautifully to place Elisa back on the podium with 3d and Ashleigh on 5th. Nothing could be done with the winner Pauline Ferrand Prevot (Rabobank) and world cup leader Elisabeth Armitstead (Boels Dolmans) on 2d. Audrey Cordon was in a serious break attempt 20 k from the finish and followed deep into the final. The team followed tradition and raced in Apeldoorn in the spring, for the 6th time. We were chasing to beat our best result which was in 2013 with Chloe Hosking’s 3d place. It looked very well for us when we placed 4 girls in the leading group (Chloe, Audrey, Elisa and Cecilie). However in the finish only Elisa contested the sprint in a select group of 12 riders, and she finished 7th behind the winner Kirsten Wild (Giant Shimano). Julie had an unlucky day with an early puncture. Tone and Lauren raced this criterium in Rotterdam, Anna vd Breggen (Rabobank) won in a 3 girl break, Lauren and Charlotte Becker was the chase duo where Lauren ended 5th. Tone was number 20.